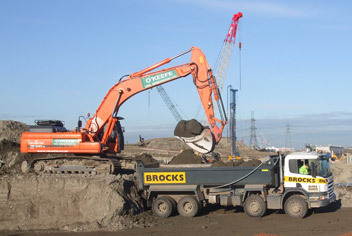 The team at Brocks Haulage has over three decades of experience in bulk excavation and implements this expertise to deliver a full service from initial planning through to site preparation, sub-contractor liaison and completion of often complex bulk excavation works. All material removed from sites are subject to soil analysis provided by sub-contractors to confirm classification prior to removal. Depending on the waste classification type, the material is then disposed of accordingly at relevant licensed facilities. With a fleet of maintained vehicles, Brocks Haulage transport various types of material and provide a full muck away service to clients across the South East / Essex / Kent / East & North and South London. 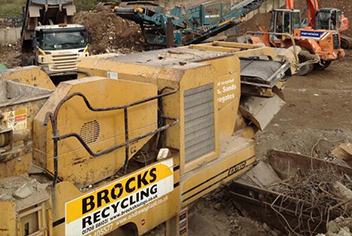 Waste that is cleared from building or demolition sites is graded and recycled in accordance with environmental legislation and the company provides a complete trail of analysis, acceptance and disposal. 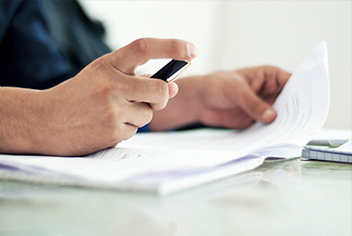 This includes the provision of documentation where required to fulfill our client’s duty of care. 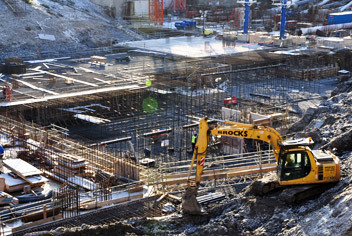 A range of plant hire is available for hire with highly experienced CITB and CPCS operators. As an alternative to our conventional 8 wheel tipper vehicles, and where space/access is limited, we operate two grab vehicles. These can carry full/part loads of muck/concrete/rubbish away and aggregates for direct loading/unloading to sites. We offer a roll on off bin hire service for larger volumes of bulk waste and currently operate three roll on off vehicles. 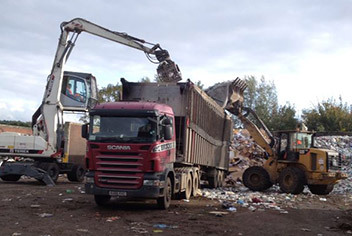 Bins are used for a variety of waste environmental solutions for segregation of waste for recycling or general site clearance on small or large sites. Bin sizes range from 20 yard to 40 yard roll on off bins. A range of recycled aggregates and other materials are available, often providing clients with a cost effective alternative for more typical aggregates. All materials can be delivered to site and our dedicated staff use their expertise to help clients make an informed choice when choosing materials. Our low loader vehicle is fully equipped and is available to haul plant/vehicles ranging from mini diggers to 35 ton excavators and dump trucks for delivery to sites across the UK. 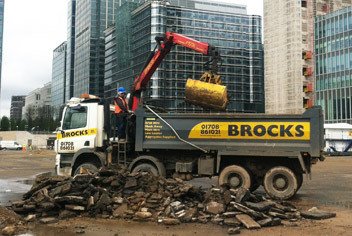 Brocks will work to your requirements. The experience we gained will help to tailor make the services you require. Just give us a call to explain your needs and we will do our best to find the most efficient solution. We are client-focused and welcome any enquiry. 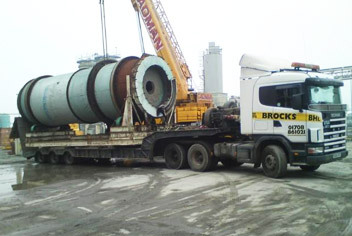 Established in 1974, Brocks Haulage Ltd is a family run organisation that prides itself on a reputation built on honesty and trust. We have an extensive client base across the South East / Essex / Kent / East, North and South London. 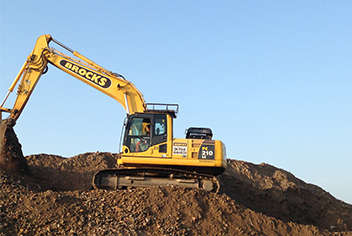 The company undertakes large bulk excavations, working to environmental legislation, with a complete trail of analysis, acceptance and disposal.